The Clausewitz Bookstore is a participant in the Amazon Services LLC Associates Program, an affiliate advertising program designed to provide a means for sites to earn advertising fees by advertising and linking to Amazon.com. We offer this service, not for profit (any proceeds go to defray the costs of maintaining this website) but as a convenient way for users to track relevant published materials. All transactions are strictly between the buyer and Amazon.com. If you are looking for older books in any language, collectibles, first editions, etc., try Marelibri.com, formed in 2007 by five independent European book listing services and marketplaces. Marelibri has since expanded to encompass independent book sites worldwide, growing its remarkable collection of rare and antiquarian books to over 80 million books. Ed./trans. Christopher Bassford, Daniel Moran, and Gregory W. Pedlow. 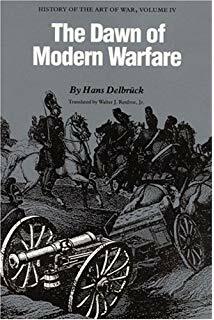 This book is built around a new and complete translation of Clausewitz's study of the Waterloo campaign (Berlin: 1835), which is a strategic analysis of the entire campaign, not just the Battle of Waterloo. This is the first published English translation. Since this was one of Clausewitz's last such campaign studies (written c.1827), it reflects Clausewitz's most advanced thinking. However, because it was never incorporated into the unfinished manuscript of On War, most readers will find it to be new material. On Waterloo contains Wellington's initial battle report; two of Clausewitz's post-battle letters to his wife Marie; correspondence within Wellington's circle concerning Clausewitz's work; Clausewitz's 58-chapter campaign study; Wellington's controversial memorandum in response; and enlightening essays by the editors. Vanya Eftimova Bellinger, Marie von Clausewitz: The Woman Behind the Making of On War (Oxford University Press, 2015), ISBN: 0190225432. With the research skills both of a journalist and of a serious scholar, Bellinger has done a spectacular job of tracking down sources where no one else had thought to look, in the process recovering some materials thought lost in World War II and others that were previously unknown. This is an important work in the field. Without the efforts of Countess Marie von Clausewitz, Carl von Clausewitz's crucial work on military theory and strategy—On War—would never have been published. But as historian and Clausewitz scholar Vanya Eftimova Bellinger establishes in this ground-breaking biography of the "other" Clausewitz, Marie was far more than merely a supportive wife who facilitated her husband's legacy. Marie's 1810 marriage to Clausewitz did not make sense to many observers (least of all her mother). She was a wealthy, cultured, and politically engaged young woman from a famous family, one of the highest-ranking non-royals in Prussia. He was a junior Prussian army officer with no family or political connections. But the bond between Marie and Carl was forged by love, a deep sense of trust, and a meeting of minds over common political and intellectual interests. Newly discovered archival materials reveal the extent of Marie's influence on her husband, beginning with the very early days of the courtship and lasting until his premature death. The two came to a "collaborative opinion" on many topics, from the moral implications of war to the emotional constitution of true leadership. This biography sheds enormous light on two extraordinary lives and minds, offering the first comprehensive and compelling look at the woman behind the composition of On War. In the process, it gives us a much richer view of her husband's personal evolution and thus of the deeper meaning behind many of his concepts. See also Bellinger's blog: "The Other Clausewitz." NEW! Carl von Clausewitz, Napoleon's 1796 Italian Campaign, trans. Nicholas Murray and Christopher Pringle (University Press of Kansas, 2018). 352pp. ISBNs: 070062676X, 978-0700626762. Paperback (also available in hardcover). On War (Vom Kriege) formed only the first three of ten volumes of Clausewitz's collected writings (and even that collection is incomplete). 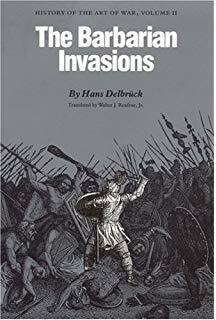 The other volumes include historical analyses of wars from those of Gustavus and Frederick II to those of the French Revolution and Napoleon. Clausewitz undertook these studies to inform and shape the ideas in Vom Kriege, so they offer invaluable insight into his dialectical, often difficult theoretical masterwork. Among these historical works is Clausewitz's study of Napoleon's Italian campaign of 1796, a crucial period in the French Revolutionary Wars. During this campaign the young, largely unknown Corsican, in his first important command, led the French Army to triumph over the superior forces of the Austrian and Sardinian Armies. Moving from strategy to battle scene to analysis, this first English translation nimbly conveys the character of Clausewitz's writing in all its registers: the brisk, often powerful description of events as they unfolded; the critical reflections on strategic theory and its implications; and most bracing, the dissection and sharp judgment of the actions of the French and Austrian commanders. NAPOLEON: ON WAR (Oxford University Press, 2015). By Bruno Colson. 560pp. ISBNs: 0199685568, 978-0199685561. In exile on Saint-Helena, Napoleon mused about a great treatise on the art of war, but changed his mind and ordered the destruction of his notes. Thus was lost what would have been one of the most interesting and important books on the art of war ever written. The well known military historian Bruno Colson spent years researching Napoleon's correspondence and other writings, including especially the copy-book of General Bertrand, the Emperor's most trusted companion on Saint-Helena. His ground-breaking work has been carefully organized to follow the framework of Carl von Clausewitz's classic On War, allowing a fascinating comparison between Napoleon's ideas and those of his great Prussian adversary and interpreter and highlighting the intriguing similarities between these two founders of modern strategic thought. Regardez l'edition Française. Also in French: Benoît Durieux, Clausewitz en France: Deux siècles de réflexion sur la guerre, 1807-2007 (Economica 2008), ISBN: 2717855777. Empire of Chance: The Napoleonic Wars and the Disorder of Things (Harvard University Press, 2015). By Anders Engberg-Pedersen. 336pp. ISBNs: 067496764X, 978-0674967649. Napoleon’s campaigns were the most complex military undertakings in history to that point. But they changed more than the nature of warfare. Concepts of chance, contingency, and probability became permanent fixtures in the West’s understanding of how the world works. Empire of Chance examines anew the place of war in the history of Western thought, showing how the Napoleonic Wars inspired a new discourse on knowledge. The theory of war espoused in Carl von Clausewitz’s classic treatise responded to contemporary developments in mathematics and philosophy, and the tools for solving military problems—maps, games, and simulations—became models for how to manage chance. On the other hand, the realist novels of Balzac, Stendhal, and Tolstoy questioned whether chance and contingency could ever be described or controlled. After Napoleon the state of war no longer appeared exceptional but normative, a prism that revealed the underlying operative logic determining the way society is ordered and unfolds. Clausewitz in His Time: Essays in the Cultural and Intellectual History of Thinking About War (Berghahn Books, 2015.) By Peter Paret. 152pp. ISBN-10: 1782385819. ISBN-13: 978-1782385813. Clausewitz was anything but a detached theorist—he was as fully engaged in the intellectual and cultural currents of his time as in its political and military conflicts. Late-eighteenth century thought helped shape the analytic methods he developed for the study of war. The essays in this volume follow his career in a complex military society, together with that of other students of war, both friends and rivals, providing a broad perspective that leads to significant documents so far unknown or ignored. They add to our understanding of Clausewitz's early ideas and their expansion into a comprehensive theory that continues to challenge our thinking about war today. Peter Paret, Professor emeritus of the Institute for Advanced Study, is a well known authority on Clausewitz. CLAUSEWITZ: HIS LIFE AND WORK (Oxford University Press, 2015). By Donald Stoker. 376pp. ISBN: 0199357943. A new biography that focuses on Clausewitz the professional combat soldier, this book capably places the man into the military history of the Napoleonic Wars. Many treatments of Clausewitz sneer at his "failure" to achieve high military command and forget that he was a young man—a mere major in 1812, a full colonel by 1815, but just 35 when Napoleon left the stage and peace broke out. An obscure junior officer from the boondocks, Clausewitz won the esteem and affection of Prussia's key military leaders (e.g., Scharnhorst and Gneisenau), became the military tutor to Hohenzollern princes, and married one of the highest-ranking non-royals in Prussia (a well-educated and talented partner whom he was smart enough to learn from). Temporarily an exile in the Russian army, he played an unbelievably nervy role in forcing the King of Prussia to switch sides and join the final coalitions against France. This irritated the King immensely—but not enough to prevent him from promoting Clausewitz to general in 1818. Contrary to the nonsense spouted by pop historians like John Keegan, Clausewitz was not "sort of pensioned off, sent to the staff college to live out his days." Still a young general at 50, he had already returned to active service before the crisis of 1830 forced Prussia to place a field army on the Russo/Polish border. And the chief-of-staff of that army was Clausewitz. Stoker himself seems a bit shocked to discover that Clausewitz had ambitions and career frustrations (as if academia itself were not a famous snake-pit of self-promoters...) and may be reading too much into Marie's bitter and grief-stricken complaints. But he certainly establishes Clausewitz's bona fides as a practical fighting man. Expected in November 2016. ISBN: 978-0773547698. From the publisher: "Two centuries after Carl von Clausewitz wrote On War, it lines the shelves of military colleges around the world and even showed up in an Al Qaeda hideout. Though it has shaped much of the common parlance on the subject, On War is perceived by many as a "metaphysical fog," widely known but hardly read. In War as Paradox, Youri Cormier lifts the fog on this iconic work by explaining its philosophical underpinnings. Building up a genealogy of dialectical war theory and integrating Hegel as a co-founder with Clausewitz of the method, Cormier uncovers a common logic that shaped the fighting doctrines and ethics of modern war. He explains how Hegel and Clausewitz converged on method, but nonetheless arrived at opposite ethics and military doctrines. Ultimately, Cormier seeks out the limits to dialectical war theory and explores the greater paradoxes the method reveals: can so-called “rational” theories of war hold up under the pressures of irrational propositions, such as lone-wolf attacks, the circular logic of a “war to end all wars,” or the apparent folly of mutually assured destruction? Since the Second World War, commentators have described war as obsolete. War as Paradox argues that dialectical war theory may be the key to understanding why, despite this, it continues." NEW! Sibylle Scheipers, On small war: Carl von Clausewitz and people's war (Oxford University Press, 2018), viii + 174pp., ISBN: 978-0-19-879904-7. Oxford University Press, 2015. Available now from OUP. The editors have assembled and translated Clausewitz's most important texts devoted to the analysis of asymmetric, unconventional, guerrilla, and small-unit warfare, including Clausewitz's lectures on small war given at the Prussian War Academy in 1810 and 1811. These demonstrate that asymmetric warfare is not an historical development that can be termed pre- or post-Clausewitzian, as many contemporary scholars of war and military strategy ahistorically assert. (That assertion would have been quite a surprise to Engels, Mao, or Giap.) Rather, Clausewitz himself emerges as an early theorist of insurgency and asymmetric warfare with insights that are relevant today. Reviewed by: Sibylle Scheipers for Small Wars & Insurgencies (includes a reply by the editors); Artemis Photiadou for LSE Review of Books; Simon Tyler for E-International Relations. Clausewitz Gesellschaft, Hamburg. Reiner Pommerin, ed. Berlin: Miles Verlag, 2011. NOTE: The book listings below should show the Amazon catalog listing images, as in the thumbnail image below. If you aren't seeing the Amazon images, check your device's security software settings, which may be blocking the ads. Decoding Clausewitz: A New Approach to On War (University Press of Kansas, 2008). By Jon Tetsuro Sumida. ISBN (hardcover): 9780700616169; (paperback 0700618198) Sumida contends that Clausewitz's central value lies in his method of reenacting the psychological difficulties of high command in order to promote the powers of intuition that he believed were essential to effective strategic decision-making. Sumida also correctly notes Clausewitz's argument that the defense is a stronger form of war than the offense and goes on to argue that this is in fact his primary strategic proposition. This concept, Sumida maintains, must be understood in order to make sense of Clausewitz's positions on absolute and real war, guerrilla warfare, and the relationship of war and policy/politics. Here is the Preface and Table of Contents. Here is the preface to the (revised) paperback edition (2011). Carl von Clausewitz, Napoleon's 1796 Italian Campaign, trans. Nicholas Murray and Christopher Pringle (University Press of Kansas, 2018). 352pp. ISBNs: 070062676X, 978-0700626762. Paperback (also available in hardcover). Among Clausewitz's historical works is this study of the Italian campaign of 1796, which marked a crucial period in the French Revolutionary Wars. The proper title should be The Campaign of 1796 in Italy (a direct translation of the German title, Der Feldzug von 1796 in Italien) and Clausewitz is concerned with all key decision-makers in the campaign, not just Napoleon. Constantly moving from politics to strategy to battle scene to analysis, this first English translation nimbly conveys the character of Clausewitz's writing in all its registers: the brisk, often powerful description of events as they unfolded; the critical reflections on strategic theory and its implications; and most bracing, the dissection and sharp judgment of the actions of the French and Austrian commanders. The translation itself is highly readable and straight-forward, though marred by some questionable editorial interventions and footnotes. Vanya Eftimova Bellinger, Marie von Clausewitz: The Woman Behind the Making of On War (Oxford University Press, 2015), ISBN: 0190225432. With the research skills of both a journalist and a serious scholar, Bellinger has done a spectacular job of tracking down sources where no one else had thought to look, in the process recovering some materials thought lost in World War II and others that were previously unknown. This is an important work in the field. Without the efforts of Countess Marie von Clausewitz, Carl von Clausewitz's crucial work on military theory and strategy—On War—would never have been published. This biography sheds enormous light on two extraordinary lives and minds, offering the first comprehensive and compelling look at the woman behind the composition of On War. In the process, it gives us a much richer view of her husband's personal evolution and thus of the deeper meaning behind many of his concepts. Carl von Clausewitz, eds. Christopher Daase and James W. Davis, Small Wars (Oxford University Press), 2015. 216 pages, ISBNs 0198737130, 978-0198737131. The editors have assembled and translated Clausewitz's most important texts devoted to the analysis of asymmetric, unconventional, guerrilla, and small-unit warfare, including Clausewitz's lectures on small war given at the Prussian War Academy in 1810 and 1811. These demonstrate that asymmetric warfare is not an historical development that can be termed pre- or post-Clausewitzian, as many contemporary scholars of war and military strategy ahistorically assert. (That assertion would have been quite a surprise to Engels, Mao, or Giap.) Rather, Clausewitz himself emerges as an early theorist of insurgency and asymmetric warfare with insights that are relevant today. Clausewitz: His Life and Work. By Donald Stoker [Naval War College at the Naval Postgraduate School in Monterey]. New York: Oxford University Press, 2014, ISBN: 0199357943. Stoker notes that those discussing Clausewitz's legacy as a theorist today have largely forgotten what was most important to him: being a soldier. He also notes that, while Clausewitz certainly spilled his share of ink, he also spilled blood—his own and the enemy's. He experienced the mass warfare of his age and knew what it was like to be wounded, to be a prisoner, to have friends killed and wounded, to suffer hunger and thirst, and to have the heat and cold try to kill him after the enemy's best efforts had failed. The pursuit of success on the field of battle, Stoker shows, is what drove Clausewitz. He also considers the continuing relevance of Clausewitz's work today. A quibble: Almost all of what we know of Clausewitz's personal frustrations was transmitted by his wife and editor, Marie, who magnified them in her own grief and frustration over his untimely death and what she, not her husband, felt to be insufficient recognition of his genius and service to Prussia. In what is probably an effort to appear balanced, Stoker gets a bit carried away in his criticisms of Clausewitz's perfectly normal career ambitions and efforts to get ahead professionally. This reflects a long tradition of efforts to psychoanalyze Clausewitz. That tradition continues forward despite the efforts of writers like Peter Paret and Vanya Bellinger to expose the shaky foundation on which it rests. Clausewitz in His Time: Essays in the Cultural and Intellectual History of Thinking About War. By Peter Paret. Berghahn, 2014. ISBN-10: 1782385819. ISBN-13: 978-1782385813. 134pp. Far from being a detached theorist, Carl von Clausewitz was as intensely aware of the cultural and intellectual currents of his time as he was engaged in its political and military conflicts. The society in which he lived and the people with whom he served affected the analytic method he developed in his writing and the conclusions he reached. The essays in this volume examine Clausewitz in comparison with teachers, friends, and opponents, a perspective enriched by significant documents which have been previously ignored. They deepen our knowledge of Clausewitz's life and how he enlarged his understanding of warfare from its mechanisms and the interaction of its elements to its apparently permanent place in the relation between states. Reconsidering the American Way of War. By Antulio J. Echevarria. Georgetown University Press, 2014. ISBN 1626160678, 9781626160675) challenges several longstanding notions about the American way of war. It examines American military practice (strategic and operational) from the War of Independence to the campaigns in Iraq and Afghanistan to determine what patterns, if any, exist in the way Americans have used military force. It finds that American uses of force were driven more by political considerations than military ones and that the amount of force employed was rarely either overwhelming or decisive. To borrow from Clausewitz, the American way of war was as much an extension of US policy by other means, as it was the continuation of US politics by those means. Reconsidering the American Way of War also finds that most conceptions of American strategic culture are little more than elusive fictions—the notion of strategic culture cannot be reconciled with either change over time or change in time. Clausewitz's Timeless Trinity: A Framework for Modern War. By Colin M. Fleming [U. Ediburgh, UK]. Ashgate (Military Strategy and Operational Art), 2013. ISBN-10: 140944287X, ISBN-13: 978-1409442875. Innovatively applying the Clausewitzian Trinity of 'passion, chance, and reason' to the experience of real war, Fleming explores the depth and validity of the concept against the conflicts of former Yugoslavia - wars thought to epitomise a post-Clausewitzian age. In doing so it demonstrates the timeless message of the Trinity, but also ties the Trinitarian idea back into Clausewitz's political argument.Intended to build on the existing corpus of scholarship, this book differs from the existing literature in two ways. By applying the Trinity to the wars of former Yugoslavia 1991-1995, it explores war at its micro-foundations, assessing the complex cause-and-effect nexus of reciprocity produced by actions between belligerents embroiled in dynamic competition perpetuated by their own interaction. War, Clausewitz and the Trinity. By Thomas Waldman. Ashgate, 2013. ISBN 9781409451396. Today, the ideas of Carl von Clausewitz (1780-1831) are employed almost ubiquitously in strategic studies, military history and defence literatures, but often in a manner which distorts their true meaning. In this book, Waldman explores Clausewitz's central theoretical device for understanding war—the 'remarkable trinity' of politics, chance and passion. By situating the great Prussian in historical context, he presents a conception truer to Clausewitz's intention. Publisher's page: UK — US. Clausewitz, The State and War. Editors Andreas Herberg-Rothe, Jan Willem Honig, and Daniel Moran. Stuttgart: Franz Steiner Verlag, 2011. ISBN 978-3-515-09912-7. Clausewitz’s understanding of war was shaped by his understanding of the state, which he regarded as the central institution of modern life. His achievements as a theorist of war in turn clarify one of the state’s essential activities: the use of force to defend and advance its interests and values, and those of the society it governs. These diverse essays take Clausewitz’s ideas about the state as the starting point for analyzing the central issue posed by his work: the relationship between war in all its manifestations, and politics in all its forms. The modern state was the starting point for Clausewitz’s understanding of politics, but did not unduly confine his outlook, nor cause him to suppose that only states make war. Similarly, while it is the wars of states that provided most of the historical evidence on which his theoretical work rests, the implications of that work can be seen to encompass political violence in all its forms. Clausewitz in the Twenty-First Century, edited by Hew Strachan and Andreas Herberg-Rothe (Oxford University Press, September 2007). ISBN: 0199232024. This is the proceedings of the March 2005 Oxford University conference on Clausewitz in the 21st Century. This is a stellar, multidisciplinary collection of essays that defines the current state of the art in Clausewitz studies. Kindle edition. See discussion by Andreas Herberg-Rothe and Tony Echevarri; Review by James Woudhuysen in Spiked. Clausewitz's On War: A Biography (Books That Changed the World). By Hew Strachan (Atlantic Monthly Press, 2006). ISBN: 0871139561. In this biography on On War (not of its author), Strachan, one of the worlds foremost military historians, offers some answers to many of the problems posed by Clausewitz's writings. He explains how and why On War was written, elucidates what Clausewitz meant, offers insight into the impact it has had on conflict, and evaluates its continued significance in our world today. Clausewitz's Puzzle: The Political Theory of War. By Andreas Herberg-Rothe (Oxford: Oxford University Press, 2007). ISBN: 0199202699. Herberg-Rothe argues that Clausewitz developed a wide-ranging political theory of war by reflecting on the success, the limitations, and the failure of Napoleon's method of waging war, a theory, which is still relevant in light of contemporary conflict. The book lays down the foundation of a general theory of war by concentrating on Clausewitz's historical analyses of war campaigns. See reviews in English and German of the German edition. See the publication announcement from OUP. See listings in Amazon.UK, Oxford University Press and in Oxford Scholarship OnLine, and this discussion on Sonshi.com. State of Doom: Bernard Brodie, the Bomb, and the Birth of the Bipolar World. By Barry Scott Zellen (Continuum, 2011). ISBN: 1441124624. This book examines Bernard Brodie's strategic and philosophical response to the nuclear age, embedding his work within the classical theories of Carl von Clausewitz. Zellen is a Researcher at the Naval Postgraduate School in Monterey, USA, where he is Research Director of the Arctic Security Project. The managing editor of Culture and Conflict Review and Strategic Insights journals, he has published several books, including On Thin Ice: The Inuit, the State and the Challenge of Arctic Sovereignty (Lexington Books, 2009) and Arctic Doom, Arctic Boom: The Geopolitics of Climate Change in the Arctic (Praeger, 2009). Clausewitz and America: Strategic Thought and Practice from Vietnam to Iraq. By Stuart Kinross. (Routledge, 2008). ISBN: 041556963X. While many reviewers seem to regard Kinross's book as a long-overdue attack on Clausewitz, Kinross's actual views are a great deal more sophisticated than that view would imply. Do you know which translation of ON WAR you have? Or which one you should get? Note: There are three major English translations of Clausewitz's On War (and several obscure ones). Most electronic versions are copies of the old 1873 Graham translation (because it is out of copyright), but unless you are obsessed with the viewpoint of Victorian-era Britons, it is not the version you want. Also, check the ISBNs for the book you're ordering: Amazon often gets the various editions confused. Buy the best translation—recommended for serious readers. The Book of War (The Modern Library, February 2000). ISBNs: 0375754776, 9780375754777. Clausewitz and Sun Tzu in one book. The translation of Clausewitz's On War is the 1943 version done by German literary scholar O.J. Matthijs Jolles at the University of Chicago during World War II—not today's standard translation, but certainly the most accurate. The only error we're aware of is the Germanic (but incorrect) spelling Clausewitz's first name with a 'K'—almost certainly the publisher's decision, not the translator's. With an interesting introduction by contemporary military guru Ralph Peters. The version of Sun Tzu included is also excellent—this is the modern translation by Roger Ames, based on complete ancient texts found by archaeologists. On War, by Carl von Clausewitz, trans. Michael Howard and Peter Paret (Alfred A. Knopf, 1976/84). ISBN: 0679420436. This is the Everyman's Library edition, a very fine edition of the Howard/Paret translation. It is superior in some ways to the standard Princeton version, despite the H/P translation's fundamental weaknesses. However, the pagination is different, making it a bit more difficult to locate specific quotations, etc. If you're serious about reading Clausewitz in detail, read the much more accurate translation by O.J. Mattjis Jolles. See this discussion of the various English translations of Clausewitz's Vom Kriege. Buy the standard English translation of Clausewitz's On War, by Michael Howard and Peter Paret (Princeton University Press, 1976/84). ISBN: 0691018545 (paperback). Kindle edition. This quite readable translation appeared at the close of the Vietnam War and has become the modern standard. However, if you're serious about reading Clausewitz in detail, read the much more accurate translation by O.J. Mattjis Jolles—See it listed above or to the far left of this column. For background, see this discussion of the various English translations of Clausewitz's Vom Kriege. Clausewitz and the State, 2nd edition. By Peter Paret (Princeton University Press, 2007). ISBN: 0691131309. The new edition of this classic 1976 work—the best biography of Clausewitz available in English—includes a preface that allows Paret to recount the past thirty years of discussion on Clausewitz and respond to critics. A companion volume to Clausewitz's On War, this book is indispensable to anyone interested in Clausewitz, his theories, and their proper historical context. Clausewitz in English: The Reception of Clausewitz in Britain and America, 1815-1945, by Christopher Bassford (Oxford University Press, 1994). ISBN: 0195083830. Explores what soldiers, academics, and others in the English-speaking world were saying about Clausewitz between 1815 and the mid-1990s—and, more intriguingly, why. Not always a pretty tale. Buy a used version of this classic—the publisher's price is an outrage. And the full text is on-line free HERE. On Waterloo: Clausewitz, Wellington, and the Campaign of 1815. Ed./trans. Christopher Bassford, Daniel Moran, and Gregory W. Pedlow (Clausewitz.com, 2010). ISBN: 1453701508. This book is built around a new and complete translation of Clausewitz's study "The Campaign of 1815: Strategic Overview," first published as Der Feldzug von 1815 in Frankreich (Berlin, 1835). It is vol. 8 of Clausewitz's collected works (Hinterlassene Werke des Generals Carl von Clausewitz über Krieg und Kriegführung). This study was written late in Clausewitz's life, after most of On War had already been drafted. Thus it reflects Clausewitz's most mature thinking but, unlike many of his earlier historical studies, its findings have not been incorporated into Clausewitz's magnum opus. Thus most readers will find it new material. The book also includes the responses of Wellington and his circle, as well as analytical essays by the editors. Text and extras available on-line here. See reviews in The Journal of Military History and War in History. *Decoding Clausewitz: A New Approach to On War (University Press of Kansas, 2008). By Jon Tetsuro Sumida. ISBN (hardcover): 9780700616169; (paperback 0700618198) Sumida contends that Clausewitz's central value lies in his method of reenacting the psychological difficulties of high command in order to promote the powers of intuition that he believed were essential to effective strategic decision-making. Sumida also correctly notes Clausewitz's argument that the defense is a stronger form of war than the offense and goes on to argue that this is in fact his primary strategic proposition. This concept, Sumida maintains, must be understood in order to make sense of Clausewitz's positions on absolute and real war, guerrilla warfare, and the relationship of war and policy/politics. Here is the Preface and Table of Contents. Here is the preface to the (revised) paperback edition (2011). See Reviews. Azar Gat, The Origins of Military Thought: From the Enlightenment to the Cold War (Oxford University Press, 2001). ISBN: 0199247625. Gat continues both to have some good ideas and to take all of his own ideas rather more seriously than either the nature of reality or the actual evidence can justify. Historical and Political Writings, by Carl von Clausewitz, trans. Peter Paret and Daniel Moran (Princeton University Press, 1992). ISBN: 0691031924. This companion volume to On War brings together some of Clausewitz's political writings and a selection of his historical works. This material reveals Clausewitz as an exceptionally independent observer both of the past and of his own times, distinguished by an unideological pragmatism and a keen sense of the possibilities and shortcomings of state power. Contents. ABOVE: Hans Delbrück (1848-1929), History of the Art of War within the Framework of Political History, 4 vols., trans. [Brigadier General, USA] Walter J. Renfroe, Jr. (Westport, CT: Greenwood Press, 1975-85); to right, below: Arden Bucholz, ed., Delbrück's Modern Military History (University of Nebraska Press, 1997). Delbrück is not widely read in English, but John Keegan acknowledged him as "the father of modern 'scientific' military history." Unfortunately for the Clausewitz-hating Keegan, Delbrück himself was an ardent Clausewitzian. No problem—there's no reason to think that Keegan could have recognized the nature or the source of the theories Delbrück spent so much time explaining. Stephen L. Melton, The Clausewitz Delusion: How the American Army Screwed Up the Wars in Iraq and Afghanistan (A Way Forward) (Zenith Press, 2009), ISBN-10: 0760337136. It's hard to argue with Melton's basic argument, i.e., that the US Army screwed up the wars in Iraq and Afghanistan. Whether this should be blamed on the Army in particular, on DOD broadly, on a dysfunctional administration, on a system of government specifically designed by its founders to be bad at imperial adventures, or on an increasingly feckless ruling class is clearly open to debate. But Melton seems to know little about Clausewitz and is simply using the name to describe an unrealistic approach to warfare rooted in an unrealistic understanding of political and military history. For that, Clausewitz bears no responsibility, and the Army's "Clausewitz Delusion" is actually a delusion about Clausewitz rooted in that larger political and historical blindness. So this may be a good book on the Army or the "American way of war," but it has little to do with the actual Clausewitz or his ideas. Clausewitz Reconsidered (Praeger, 2009). By H.P. Wilmott and Michael B. Barrett. ISBN: 0313362866. 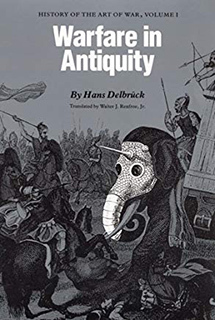 This book would have been a lot better had Wilmot spent some time actually reading Clausewitz before buying wholesale into the fantasies of the "New Wars" scholars. The authors assess Clausewitz's theories, examining their viability at a time when asymmetric warfare and "war" conducted by and against nonstate actors is increasingly common and state control often ephemeral. The basis of the book's analysis is an examination of war over the last four centuries, since the Thirty Years' War, including the Cold War and subsequent conflicts. 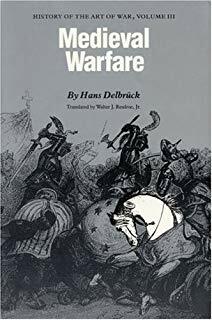 The authors start with the dubious assumption that war today is far more endemic and brutal than when Clausewitz tried to explain it—a surprisingly Eurocentric argument that reflects professional military historians' fixation on open-field warfare by uniformed armies, not historical reality. [As to the endemic quality of warfare over the ages, see also Steven Pinker's The Better Angels of Our Nature: Why Violence Has Declined (Viking Adult, 2011), ISBN-10 0670022950.] This volume explores the alleged paradox Wilmot describes and argues that, if anything, we can anticipate further uncontrolled violence—which may indeed be true, despite the ahistoricism of Wilmot's and Barrett's analysis. The authors conclude that Clausewitz and On War have assumed a status akin to holy writ, but are dated (which should come as no surprise with an 1832 book). Their aim in Clausewitz Reconsidered is to bring "the master's" theories up to date, providing the current generation with a new basis for thought and analysis. That's a worthwhile ambition that clearly needs more work than this effort shows. Carl von Clausewitz. On War. Edited and abridged by biologist and accomplished amateur musician Anatol Rapoport. Paperback, 461pp. Publisher: Viking Penguin, 1968; based on the 1873 Graham translation; includes elements of the 1908 F.N. Maude edition). ISBN: 0140444270. This deep abridgement of On War, done during the late 1960s by a non-expert whose primary motivation was to attack Henry S. Kissinger, is remarkably misleading. It was evidently the only version of On War ever examined by the Clausewitzaphobic historian John Keegan, who apparently never made it past Rapoport's long, hostile (to Kissinger, not Clausewitz) introduction. On Wellington: A Critique of Waterloo (University of Oklahoma Press, 2010). By Carl von Clausewitz as translated by Peter Hofschröer. ISBN: 0806141085. WARNING: This is a negative review of a book that is a direct competitor of a Clausewitz.com product, so apply your own judgement to its critique. This book is a translation of Clausewitz's Der Feldzug von 1815 in Frankreich (Berlin, 1835). 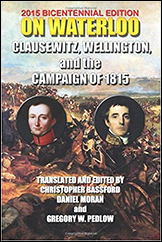 The translator uses Clausewitz's campaign study (which focuses equally on all of the top commanders of the campaign) to continue his personal vendetta against Wellington. Unfortunately, Clausewitz did not share Hofschröer's blatant prejudices and his book is no more a critique of Wellington than it is of Napoleon and Blücher. Ironically, given its artificial focus on Wellington, and unlike On Waterloo, it contains only Clausewitz's campaign study (in a usually very competent translation). It includes neither Wellington's original after-action report nor his reply to Clausewitz, nor Clausewitz's post-battle letters, nor essays by other scholars. But feel free to buy both books and let us know what you think. See reviews of both books in The Journal of Military History and War in History. Books listed here include older or more specialized (e.g., business-oriented) items, but many are nonetheless important and useful. Azar Gat, The Development of Military Thought: The Nineteenth Century (Oxford: The Clarendon Press, 1992). This is a useful and important book, though Gat is uncommonly pompous even for an academic and tends to take his own insights with profound seriousness. ISBN: 0198202466. Cimbala, Stephen. Clausewitz and Escalation: Classical Perspectives on Nuclear Strategy. London: Frank Cass, 1991. Hardcover, 218pp. ISBN: 0714634204. From the Boston Consulting Group's Strategy Institute Publisher: John Wiley & Sons. BUSINESS • Stephen Bungay, The Art of Action: How Leaders Close the Gaps Between Plans, Actions and Results (Nicholas Brealey Publishing, 2011). ISBN-10: 1857885597 ISBN-13: 978-1857885590. We hear increasingly that "strategy" is irrelevant and that all we really need is better execution. We're pretty sympathetic to the frustrations underlying that view, but the author of The Art of Action understands that strategy and execution are not separate domains. Stephen Bungay, who enjoys real credibility as a businessman (including 17 years with The Boston Consulting Group) and as a military historian (graduate work at Oxford and Tübingen) demonstrates a sophisticated grasp both of Clausewitz and Moltke's thinking and of how that thinking was reflected in practice by the German General Staff. Crucially, and unusually for writers who attempt to map the military domain to business, he genuinely understands that "business is not war." Philosophers of Peace and War: Kant, Clausewitz, Marx, Engels and Tolstoy, by W. B. Gallie (Cambridge: Cambridge University Press, 1978). ISBN 052129651X; 978-0521296519. From the book announcement: Intellectual eminence apart, what did Kant, Clausewitz, Marx and Engels, and Tolstoy have in common? Professor Gallie argues that they made contributions to 'international theory'—to the understanding of the character and causes of war and of the possibility of peace between nations—which were of unrivalled originality in their own times and remain of undiminished importance in ours. But these contributions have been either ignored or much misunderstood. Modern Strategy, by Colin Gray (Oxford, 1999). Hardcover ISBN: 0198280300. Softcover ISBN: 0198782519. Gray is considered by many to be the foremost Clausewitzian writer on strategic affairs today. Masters of War: Classical Strategic Thought, by Michael Handel (Cass, 3rd ed, 2001). ISBN: 0714681326. Handel's work compares the thoughts of Sun Tzu, Jomini, and Clausewitz. War, Politics, and Power. Selections from On War, and "I Believe and Profess." By Carl von Clausewitz, translated and edited by Edward M. Collins (COL, USAF) (Chicago: Henry Regnery Company, 1962). Softcover, 209pp. ISBN: 0895264013. This is a Cold War treatment that includes a translation of Clausewitz's famous “Bekenntnisdenkschrift,” or memorandum of confession of 1812, in which he insists on “a Spanish civil war in Germany.” Clausewitz outlined a comprehensive guerrilla strategy against Napoleonic France and supported his view with theoretical reflections about the nature of defence and offence. Clausewitz: A Biography. By Roger Parkinson (New York: Stein and Day, 1971). Reissued 2002. This book is poorly regarded by many for its poor grasp of Clausewitz's theories and for some historical errors, but it does have some strengths in covering Clausewitz's personal life and battlefield military experiences. It has been superceded by Vanya Bellinger's biography of Marie von Clausewitz and Donald Stoker's Clausewitz: His Life and Work. which focuses on Clausewitz's practical military experiences. Softcover ISBN: 0815412339. The Cognitive Challenge of War: Prussia, 1806. By Peter Paret (Princeton University Press, 2009). ISBN 0691135819. This book traces Napoleon's victory over Prussia in 1806 and Prussia's effort to recover from defeat to show how in one particular historical episode operational analyses together with institutional and political decisions eventually turned defeat to victory. In the concluding chapter, Paret addresses the impact of 1806 on two men who fought on opposing sides in the campaign and sought a new theoretical understanding of war—Henri Jomini and Carl von Clausewitz. Reviewed by Jennie Kiesling [USMA]. Carl von Clausewitz, Principles of War. This is a reprint of the 1942 Hans Gatzke translation. Dover Books. ISBN: 0486427994. This text is free on-line HERE. Carl von Clausewitz, The Campaign of 1812 in Russia. Trans. anonymous [Francis Egerton, Lord Ellesmere]. London: J. Murray, 1843. Foreword by Gerard Chaliand. This reprint publication, one of many, is dated 1997. Softcover, 148pp. ISBN: 0962871583. Another version of this text is available free on-line. Reading Clausewitz. By Beatrice Heuser. Paperback - 320 pages (Pimlico, 2002) ISBN: 071266484X. This is a wide-ranging but rather shallow study—in the tradition of the "staff-college crammer"—on how to read Clausewitz and how others have read him, from the military commanders in World War One through Lenin and Mao Zedung to strategists in the nuclear age. Designed for Staff College students. See review. Carl von Clausewitz, The Campaign of 1812 in Russia. Trans. anonymous [Francis Egerton, Lord Ellesmere]. London: J. Murray, 1843. Hardcover, 260pp. Publisher: Stackpole Books. This is another reprint publication, dated 1992. ISBN: 1853671142. Another version of this text is available free on-line. Michael Howard. Clausewitz. Oxford: Oxford University Press, 1983. Textbook Paperback, "Past Masters" series, 79th ed., 79pp. ISBN: 0192876074. Sir Michael Howard has held the Chair of War Studies at King's College London, the Chichele Chair of History of War and the Regius Chair of Modern History at Oxford, and the Robert A. Lovett Chair of Military and Naval History at Yale. His works include The Franco-Prussian War, The Causes of Wars, War and the Liberal Conscience, The Lessons of History, and War in European History. Together with Peter Paret he edited and published an new translation of Clausewitz's On War in 1976. Michael I. Handel, ed. Clausewitz and Modern Strategy. London: Frank Cass, 1986. Hardcover, 324pp. ISBN: 0714632945. Softcover 0714640530. This is a useful anthology that was very influential in the 1980s. Click here for a list of its contents. Michael Howard, Clausewitz: A Very Short Introduction (Oxford University Press, 2002), ISBN: 0192802577. Sir Michael Howard has held the Chair of War Studies at King's College London, the Chichele Chair of History of War and the Regius Chair of Modern History at Oxford, and the Robert A. Lovett Chair of Military and Naval History at Yale. His works include The Franco-Prussian War, The Causes of Wars, War and the Liberal Conscience, The Lessons of History, and War in European History. Together with Professor Peter Paret he edited and translated Clausewitz, On War in 1976. This is a convenient introduction, but it reflects a rather traditional though very positive view of Clausewitz. Raymond Aron, trans. Christine Booker and Norman Stone, Clausewitz: Philosopher of War (Simon & Schuster/Touchstone Books, 1985; Englewood Cliffs, N.J.: Prentice-Hall, 1985). 418pp. ISBNs: 0671628267, 9780671628260. Originally Penser la guerre, Clausewitz [Volume 1,l'âge européen], [Volume 2, l'âge planétaire] (Paris: Editions Gallimard, 1976.) Raymond Aron (1905-1983) was an extremely influential French sociologist, journalist, political scientist, and philosopher. This is a notoriously poor translation. Most reviewers advise the reader to read the book in the original French—even if they can't read French. Hugh Smith, On Clausewitz: A Study of Military and Political Ideas (Palgrave Macmillan, 2004). 272pp. ISBN-10: 1403935866, ISBN-13: 978-1403935861. Clausewitz is often quoted but more often misunderstood. On Clausewitz presents his central ideas about war and politics—such as war as an instrument of policy, the concept of Absolute War, friction and the fog of war—in a clear and systematic fashion. It also presents the man, his life and the military and intellectual environment in which he produced his great work On War. The book tends to stress the limitations on Clausewitz's thought based on the era in which he worked. A final section considers Clausewitz's relevance to the rapidly changing character of war today. The "Trinity" is a key concept in Clausewitzian theory, which Clausewitz illustrated by referring to this scientific device. 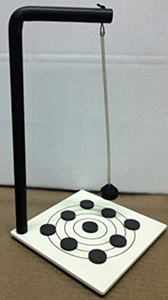 You can obtain the ROMP (Randomly Oscillating Magnetic Pendulum) from science toy stores for about $30. This model is available from Amazon.com (USA).